1. Who was Ruth, and how did she end up in Bethlehem? 2. What motivated Ruth to stay with Naomi rather than return to Moab? 3. What kind of gods did the Moabites worship? 4. What do we learn about Boaz? 5. What was it about Ruth’s character and actions that impressed Boaz? 6. How did God look after Ruth and Naomi? 7. How does God provide for us today? 1. How did Naomi plan to help Ruth? 2. What bold move did Ruth make? Why? 3. How did Boaz respond to Ruth’s actions? 4. What stopped Boaz from proposing marriage to Ruth immediately? What did he promise? 5. Why did the first kinsman decide not to redeem Naomi and Ruth’s land? 6. When Boaz declared he would marry Ruth, what was the reaction of the townspeople? 8. Who is our kinsman-redeemer? What sacrifice did he make to redeem us? Narelle here. Today we are giving away free eBook copies of the leaders guide for our July Featured Studies of the Month. Smashwords will ask you to sign in or set up an account to enable the eBook to be stored in your Smashwords account. You can download the eBook in multiple formats including PDF, Epub and .mobi for Kindle. Every seven years the Israelite Sabbath year laws provided for the freeing of all slaves, the cancellation of all debts and the laying fallow of the land. After seven sabbaths on the Day of Atonement a “Jubilee” year was called, and in addition to these other liberations all land was returned according to the original Mosaic distribution. In this way land was not so much bought and sold, as leased until the next year of Jubilee (and priced accordingly). One’s land could also be recovered before the year of Jubilee by redemption. Either the owner or a kinsman could redeem the land for a price proportionate to the number of harvests before Jubilee. This is what Boaz did for Ruth and Naomi. The basis for the release of slaves, debts and land was God’s ownership of both the people and land. Since he had delivered them from Egypt into the Promised Land, neither they nor the land could ever be sold. 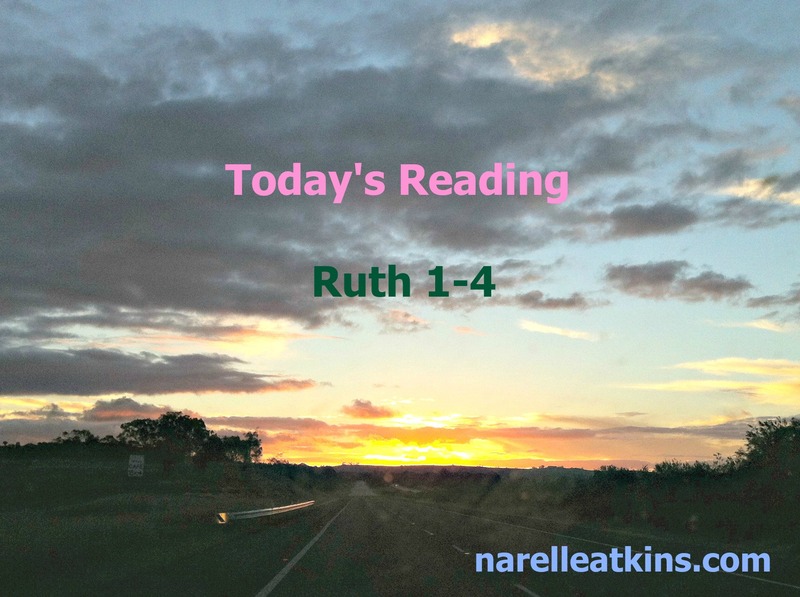 Narelle: Ruth’s story is one of my favourite Bible stories. A Moabitess by birth, she married an Israelite who had moved to Moab with his family. She lost her husband, father-in-law and brother-in-law, leaving Ruth with her mother-in-law Naomi and sister-in-law Orpah. Naomi decides to move back home to Judah and Ruth insists on accompanying Naomi. We journey with Ruth as she faces incredible hardships and remains loyal to Naomi. Ruth is prepared to take risks and follow her mother-in-laws advice, ultimately bringing justice for both herself and Naomi. I recommend ‘Unshaken’ to those looking for an inspiring and powerful story of love and hope. The book of Ruth is a beautiful love story, not only of a man and a woman but of a foreigner from Moab and her Jewish mother-in-law, and of a woman stripped of everything who finds joy in the grandson who will be her “kinsman-redeemer”, continuing the family name and looking after her in her old age. Many old church songs talk about being “Redeemed”, for instance “by the blood of the Lamb” but it is a word which has lost almost all meaning outside Christian circles, and perhaps some within them. The concept is reasonably straightforward and was a common one in Biblical times. To redeem something is to buy back something which was rightfully yours in the first place, like going back to a pawn broker to get your grandmother’s antique brooch out of hock. In the Old Testament, portions of the Promised Land could be redeemed by the original owner’s family, people could be redeemed from slavery and God was frequently redeeming his people from the consequences of their sin: usually being captured by foreigners. One of the great acts of redemption in the Old Testament is celebrated in the Passover, when God redeemed his people from slavery in Egypt. The Jews were told by Moses to mark their homes with the blood of a slain lamb, so that the angel of the Lord would pass over their homes as he killed the first born in each home in Egypt. In the New Testament, Jesus is revealed as the one who redeems God’s people from slavery to sin, paying with his own sacrificial death. Ruth followed Naomi home to look after her, but also to cast herself upon the mercy of Naomi’s God. 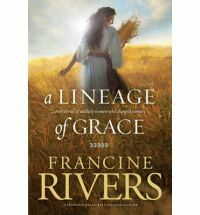 She followed Naomi’s advice, gained a real catch of a husband and went on to become an ancestress (foremother) of Jesus Christ.